Casey Stoner from Repsol Honda team riding on factory Honda RC213V has won at Jerez circuit in 2012 Moto GP.He is also the defending champion and this is also his first position finish in this season.His total race time was 1:40.554.In the first race of this season at Qatar he finished in third place.His third place finish earned him 16 points and his first place finish here at Jerez circuit gave him 25 points making overall point score of 41 points which takes him to second position in overall standings for this season. Jorge Lorenzo from Yamaha Factory Racing riding on 2012 Yamaha M1 finished in second place.He and Casey Stoner had very close competition in this race with a time difference of 0.947 seconds .He finished in first position during Qatar grand prix of this season which earned him 25 points and his second place finish here at Jerez earned him 45 points.Which makes him sit in first position in overall standings of this season. Dani Pedrosa team mate of Casey Stoner riding on RC213V finished in third place with a time difference of 2.063 seconds.Pedrosa finished in second place during Qatar grand prix which earned him 20 points and third place finish here gives him 16 points which makes his total point count of 36 and he is in third position in overall standings of this season. In Fourth position was Cal Crutchlow from Monster Yamaha Tech 3 team riding on satellite Yamaha M1 finished in fourth place with a time difference of 2.465 seconds. In fifth position was another Monster team rider Andrea Dovizioso with a time difference of 18.100 seconds.This massive time difference shows that the main competition was only in the first four positions of the race.Ironically Crutch low and Andrea Dovizioso also finished in 4 th and 5 th position respectively in Qatar 2012. While for Ducati conditions have not yet improved the two factory riders Nicky Hayden and Valentino Rossi finished in 8 th and 9 th position respectively.While Hector Barbera Satellite Ducati bike rider finished in 10 th position. Ben Spies team mate of Jorge Lorenzo finished in 11 th position during this race and he was also in 11 th position at Qatar. Sylvain Guintoli from team Effenbert Liberty Racing riding on Ducati 1098R had won in race 1.The race had a dramatic finish after rain interrupted the race during the 13 th lap.The race was interrupted and t was continued after the rain had gone away.The rest of 9 laps were continued after the rain went away.During the first 13 laps Sylvain Guintoli was in 2 nd position and after the race had re started Sylvain Guintoli finished in first place with fastest lap time of 1:57.793. Davide Giugliano from Althea Racing riding on his Ducati 1098R finished in second place with his fastest lap time of 1:59.224 with a time difference between him and Sylvain.During the interrupted first race he was in 10 th position. In third place was defending champion and Davide Giugliano’s team mate Carlos Checa with a lap time of 1:59.015 and had a time difference of 3.031 seconds from Guintoli.The first three positions were occupied by Ducati bikes in this rain interrupted race 1. In fourth place was Aprilia Racing team rider Max Biaggi riding on Aprilia RSV4 Factory with time difference of 3.927 seconds.He was in 13 th position before rain interrupted the Race. 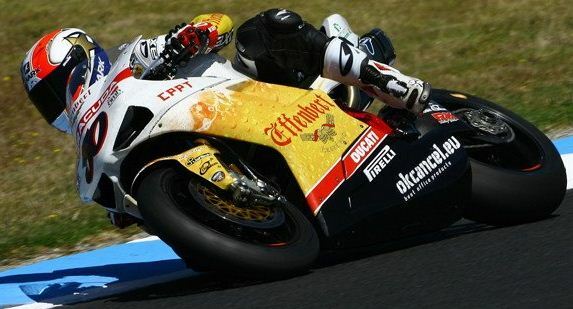 Fifth place was Max Biaggi’s team mate Eugene Laverty with time difference of 4.374 seconds. Marco Melandri from BMW Motorrad Motorsport riding on BMW S1000RR had a very good day before rain interrupted the race he was in first position before rain interrupted the race.After the rain have stopped and the race had continued he finished in 9 th position. Sebastian Vettel from Red Bull Racing-Renaut driving his RB8 Formula 1 car and also defending champion wins at Bahrain Grand Prix.This is also the first 1 st place finish for Vettel in 2012 Formula 1 season.He also did the fastes lap of the race with lap time of 1:36.379 during 41 st lap.He started the grid in 1 st place. Kimi Raikonen from Lotus team driving his Lotus E20 finished in second place.He started the grid in 11 th position.The difference between Vettel and him was 3.3 seconds. In third place was Kimi Raikonen’s team mate Romain Grosjean.he started the grid in 7 th position.The time difference was 10.1 seconds. Mark Webber team mate of Sebastian Vettel driving the RB8 finished in fourth place he started the grid in 3 rd place.The time difference was 38.7 seconds meaning that the first three drivers had the most close competition. Nico Rosberg from Mercedes team who was the winner of China Grand Prix started the grid in 5 th place and also finished in 5 th place.The time difference was 55.4 seconds. Paul Di Resta from Force India team finished in sixth place with time difference of 57.5 seconds. Ferrari Driver Fernando Alonso finished in 7 th place with time difference of 57.8 seconds. Lewis Hamilton from Mclaren Mercedes finished in 8 th place with time difference of 58.9 seconds. Jenson Button was retired in the middle of the race and finished in 18 th position he started the grid in 4 th position. Michael Schumacher started the grid in 22 position and finished in 10 th position with time difference of 71.4 seconds. Blake Young from Yoshimura Racing riding on his Suzki GSX-R1000 finished in first position in Triumph Big Kahuna Atlanta 2012 Race 1.He had a best lap time of 1:25.364.He also had during the race but recovered quickly. In Second place was defending champion and Blake Young’s main competitor Josh Hayes from Monster Energy Graves Yamaha riding on his Yamaha R1 finished in second place his best lap time was 1:25.463 and the difference between him and Blake Young after all the laps were finished was 0.293 seconds. In third place was Josh Herrin team mate of Josh Hayes with his fastest lap time of 1:25.868 and a time difference of 0.807 seconds. Fourth place was Roger Hayden from National Guard Jordan Suzuki team riding on Suzuki GSX-R1000 with a time difference of 2.437 seconds. Fifth place was Geoff May riding for Amsoil Hero EBR team on his EBR 1190RS with a time difference of 8.073 seconds. Tom Sykes from Kawasaki Racing team riding on Kawasaki Ninja ZX-10R secured pole position at Assen 2012 by winning in Super Pole 2.His fastest Lap time was 1:35.599 with average speed of 171.398 km/hr and 280.1 km/hr top speed.In Super Pole 1 he finished in 7 th position with 1:40.131 fastest lap time.His first fastest lap was 1:36.449 and after that he reduced it to 1:35.599 a reduction of 0.900 seconds. Jonathan Rea from Honda World Super Bike team finished in second place with his fastest lap time of 1:36.432 had a time difference of 1.033 seconds with average speed of 169.562 km/hr and top speed of 276.5 km/hr.Jonathan Rea finished in 5 th place during Super Pole 1. Jakub Smrz from Effenbert Liberty Racing team riding on Ducati 1098R with fastest lap time of 1:36.566 with time difference of 1.167 seconds and average speed of 169.327 kms and 270.9 kms top speed.He finished in 8 th place during Super Pole 1. Sylvain Guintoli from Team Effenbert Liberty Racing who finished in first place during Super Pole 1 had finished in fourth place in super pole 2 with his fastest lap time of 1:36.875 with a time difference of 1.476 seconds. Defending Champion Carlos Checa from Althea Racing finished in fifth place in SP 2 and in third place in SP 1.He had a time difference of 1.757 seconds in Super Pole 2. Leon Haslam from BMW Motorrad Motorsport riding on BMW S1000RR in terms of speed was the fastest on the track with 281.5 km/hr top speed. Marco Melandri from BMW Motorrad Motosport was not qualified to Super Pole 2. Red Bull Racing driver and defending champion Sebastian Vettel secures pole in Bahrain Grand Prix by winning Qualifying Practice.His Q1,Q2 and Q3 sessions timings are 1:34.308,1:33.527 and 1:32.422 respectively.He did a total of 18 laps. In Second Place was Lewis Hamilton from Mclaren Mercedes team with 1:34.813,1:33.209 and 1:32.520 respecitvely in Q1,Q2 and Q3 and he completed only 13 laps. Mark Webber team mate Sebastian Vettel finished in thrid place with Q1,Q2 and Q3 lap times of 1:34.015,1:33.311 and 1:32.637 respectively. Jenson Button from Mclaren Mercedes team finished in 4 th place and he finished only 12 laps. 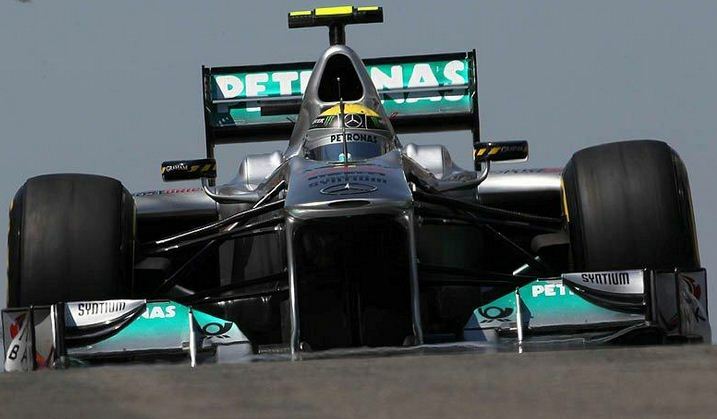 In fifth place was Nico Rosberg from Mercedes team he was in first position during Free practice sessions 2 & 3. Michael Schumacher only lapped in Q1 and finished in 18 th place with his Q1 fastest lap time of 1:34.865. Ferrari’s driver Fernando Alonso finished in 9 th place he did not participate in session 3 of QP. Nico Rosberg from Mercedes team is the fastest in FP session 3 he was also the fastest during FP 2 and had also won Chinese Grand Prix.Seems like good time is rolling for Nico Rosberg at present.His Fastest Lap time was 1:33.254. 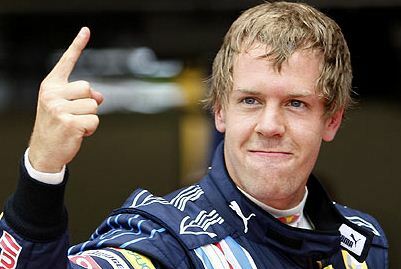 Defending Champion Sebastian Vettel from Red Bull Racing Renault had settled for second place with his fastest lap time of 1:33.401 with a time difference of 0.147 seconds.He was in third place during FP 2. Sebastian Vettel’s team mate Mark Webber was in third place with hos fastest lap time of 1:33.663 had a time difference of 0.409 seconds.He was in second place during FP 2.It seems Ironical the team mates had interchanged their place in FP 3. Lewis Hamilton from Mclaren-Mercedes who finished in 1 st place during FP 1 was in fourth place during FP 2 and also FP 3.In FP 3 his time difference was 0.528 seconds. Michael Schumacher who finished in fifth place during FP 2 had finished again in fifth position with a time difference of 0.542 seconds. Jenson Button team mate of Lewis Hamilton finished in sixth place with time difference of 0.645 seconds. Ferrari’s driver Fernando Alonso finished in 10 th place with 1.641 seconds time difference. This is a wet race and lap times have increased significantly form Qualifying Practice 1 times.Jakub Smrz from Effenbert Liberty Racing team riding Ducati 1098R was the fastest man on the grid The track is wet so the lap times of Qualifying practice 2.His fastest Lap time was 1:55.659 seconds more than his fastest lap time in Qualifying practice where he had fastest lap time of 1:39.605 and finished in 12 th position.So although Jakub Smrz had finished the race in 1 st position in 2 nd session of Qualifying practice he will start in 12 th position during super pole 1.His team mate Sylvain Guintoli will start in 1 st position during Super pole 1 based on QP 1 results. Tom Sykes From Kawasaki Racing team riding Kawasaki Ninja ZX-10R was in third place with his fastest lap of 1:56.171 and with time difference of 0.512 seconds.he will start super pole in 2 nd position. Niccolo Canepa from Red Devils Roma team riding on Ducati 1098R finished in fourth place with time difference of 1.827 seconds.Although Niccolo Canepa finished in fourth place he will not be eligible for super pole’s because he was in 18 th position during QP 1 and only top 16 riders can compete in super pole’s. Jonathan Rea from Honda World Super Bike team riding on Honda CBR1000RR had settled for fifth place with time difference of 1.902 seconds.he was also in fifth position during QP 1 so he will start the race in 5 th position during QP 1. Defending champion Carlos Checa from Althea racing was uncomfortable with the dry race and has finished in sixth place with time difference of 1.910 seconds.However Carlos Checa will start Super Pole 1 in 4 th place based on QP 1. Max Biaggi from Aprilia Racing team riding on Aprilia RSV4 Factory finished in 13 th position. 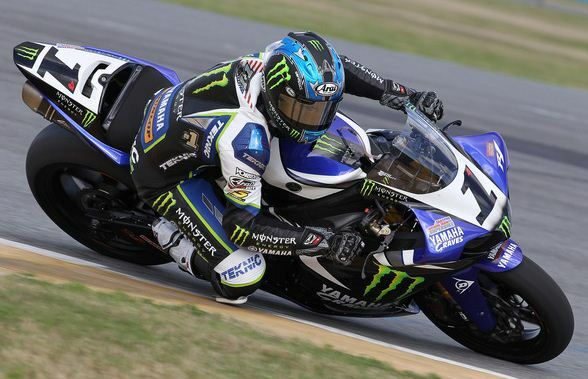 Josh Hayes from Monster energy Graves Yamaha riding on Yamaha R1 has won the provisional pole at Triumph Big Kahuna Atlanta 2012.His fastest Lap time was 1:25.380.Josh Hayes had two minor crashes but despite that he was the fastest. In second place was Josh Hayes main competitor Blake Young from Yoshimura Racing riding on Suzuki GSX-R1000 was behind him.His fastest lap time was 1:25.507 falling behind Josh Hayes by 0.127 seconds. Geoff May from Amsoil Hero EBR team riding on EBR 1190RS was in third place with fastest lap time of 1:26.551 with a time difference of 1.171 seconds. Josh Hayes team mate Josh Herrins was in fourth place with time difference of 1.192 seconds. Chris Clark team mate of Blake Young was in fifth place 1.201 seconds time difference. The only Kawasaki Ninja ZX-10 bike present on the grid from Attack Performance with Steve Rapp as the rider was in ninth position with a time difference of 1.478 seconds. The two BMW S1000RR bikes were in 10 th and 11 th positions.Foremost Insurane- Pegram Racing BMW bike with rider Larry Pegram was in 10 th place and Evan Steel Performance. com’s BMW bike in 11 th position. The only KTM RC8R bike from KTM-HMC Racing team with rider Chris Fillmore was in 12 th position under BMW S1000RR bikes. Josh Hayes from Monster Energy Graves Yamaha riding on Yamaha R1 was the fastest man on the track at Triumph Big Kahuna Atlanta during free practice session. In Second place was Blake Young from Yoshimura Racing riding on Suzuki GSX-R1000 with a time difference of 0.956 seconds. Blake Young and Josh Hayes were having tug of war competition in 2012 with Josh Hayes finishing in first place in Race 1 at Dayton International Speedway and was followed by Blake Young in second place.In race 2 Blake Young was i first position followed by Josh Hayes.These two riders had a tug of war competition during 2011 AMA season with 363 points Josh Hayes won 2011 AMA Superbike season followed by Blake Young with 358 points in second place. David Anthony riding on Suzuki GSX-R1000 from Motul-Fly racing team was in third place with 1.401 seconds time difference. Larry Pegram from Foremost Insurance sponsored Pegram Racing team riding on BMW S1000RR was in fourth place with time difference of 1.439 seconds. 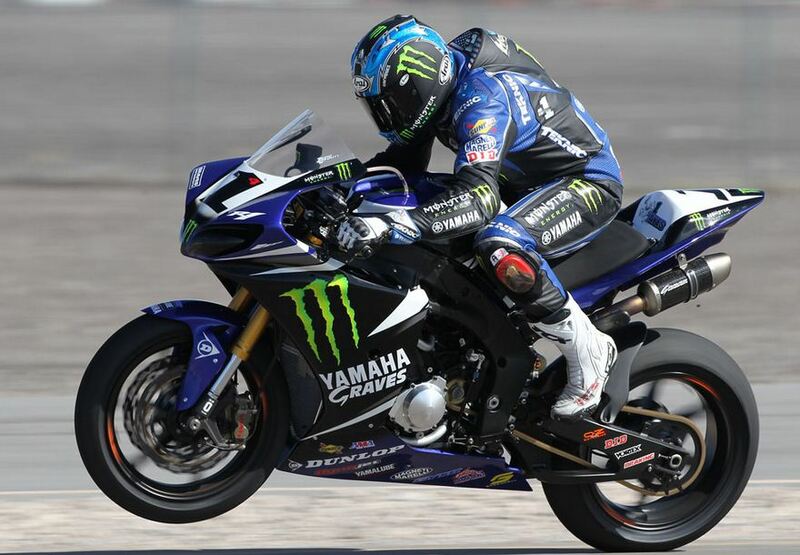 Josh Herrin team mate of Josh Hayes riding Yamaha R1 finished in fifth place with time difference of 1.589 seconds. Amsoil Hero EBR team rider Geoff May riding on EBR 1190RS bike was in sixth place with 1.660 seconds time difference. The only KTM bike in Superbike championship ridden by Chris Fillmore for KTM-HMC Racing team finished in 14 th place with time difference of 2.852 seconds.